To suggest an accolade, please fill out a submission form. 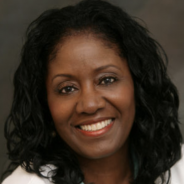 Linda Wharton Boyd (A&S ’72, ’75G, ’79G), a past president of Pitt’s African American Alumni Council, was among the 99 women cross the nation recently honored as one of the Top Women in PR, which celebrates their achievements in the communications field. The honor was given by PRNews, an intellectual hub for the communications and marketing industry. Wharton Boyd is the director of communications, external affairs and strategic stakeholder engagement for the DC Health Benefit Exchange Authority. She was recognized for her work with the campaign DC Health Link: Get the Facts. Get Covered, a multi-year, multi-faceted effort for the District’s online marketplace, DCHealthLink.com. The campaign has successfully reached people where they live, work, shop, play and pray. 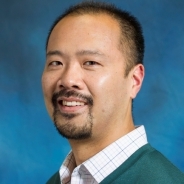 Professor Jonathan Woon, chair of the Department of Political Science, has joined a team of associate editors of the American Journal of Political Science (AJPS), a leading political science journal and the flagship publication of the Midwest Political Science Association. Woon has also served on the editorial board of the Journal of Experimental Political Science. His research focuses on political behavior, American politics, game theory and political economy. 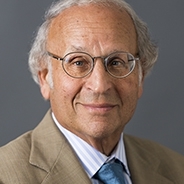 Arthur S. Levine, senior vice chancellor for the health sciences and the John and Gertrude Petersen Dean of the School of Medicine, will be the keynote speaker for the 43rd annual University of Pittsburgh Honors Convocation on Friday, Feb. 22, 2019. After more than 20 years of service to Pitt, Levine has announced his intent to step down from his current leadership posts and open a new lab within the University devoted to researching Alzheimer’s disease. Among the featured awards celebrated at the ceremony will be the Omicron Delta Kappa Senior of the Year Award and the Chancellor’s Distinguished Public Service, Teaching and Research Awards. The Gender, Sexuality and Women’s Studies Program honored four student, staff and faculty members with the Iris Marion Young Award for Political Engagement for outstanding efforts in social justice at the University, local, national level, and international level. Dighan Kelly, a junior, received the 2019 undergraduate award, has been active with Pitt student organizations register voters and research sexual assaults on campus. Kelly has served on the local International Women’s Strike chapter’s steering committee and as president of Pitt’s Planned Parenthood Club. Medha Kadri is pursuing a degree in the School of Social Work and received the 2019 graduate award. Kadri has a master’s in health psychology and worked for a child-rights focused, non-governmental organization in India that primarily rescued bonded child laborers and mainstreamed them back into school education. 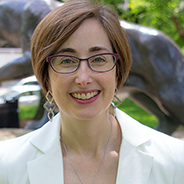 Crystal McCormik Ware, director of diversity and inclusion initiatives at the University Library System, received the 2019 staff award. Ware directed the Welfare to Work program in the School of Social Work, which trained lifelong welfare recipients with job skills and job placement at Pitt and UPMC, and serves as a founding member of the Greater Pittsburgh Higher Education Diversity Consortium. 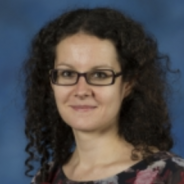 Kari Kokka, assistant professor of mathematics education in the School of Education, received the 2019 faculty award. Kokka researches student and teacher perspectives of social justice mathematics and the longevity of STEM teachers of color in urban schools. In her teaching, Kokka incorporates social justice issues into course readings and assignments. 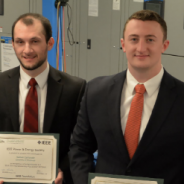 The Institute of Electrical and Electronics Engineers (IEEE) Power and Energy Society (PES) selected University of Pittsburgh seniors Nathan Carnovale (left) and Shamus (James) O’Haire as recipients of the 2018-19 IEEE PES Scholarship Plus Award. Both are majoring in electrical and computer engineering at Pitt’s Swanson School of Engineering. This is Carnovale’s second IEEE PES Scholarship in as many years. Over the past seven years, the Scholarship Plus Initiative has awarded more than $3.5 million in scholarships to students interested in pursuing a career in the power and energy industry. Carnovale and O’Haire are the Swanson School’s 11th and 12th PES recipients since the scholarship’s inception in 2011 and continue the School’s seven-year streak of at least one awardee each year. Also, according to IEEE, Pitt is one of only 16 universities that have had at least one recipient every year since 2011. Read more about the awardees on engineering’s website. 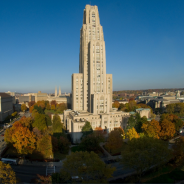 Pitt has joined the US Environmental Protection Agency Green Power Partnership. The program aims to increase the use of green power among organizations in the United States as a way to reduce the environmental impacts associated with conventional electricity use. 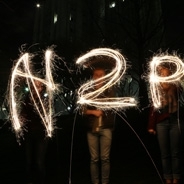 Currently, 15 percent of Pitt’s electricity comes from renewables. The University’s green power usage is equal to the electric power used by approximately 3,000 typical American homes. In accord with the goals of the 2018 Pitt Sustainability Plan, the University aims to produce or procure 50 percent of its electricity from renewable sources by 2030. Pitt recently announced its intent to purchase 100 percent of the hydropower produced by a proposed hydroelectric plant to be built on the Allegheny River at the existing Allegheny Lock and Dam No. 2, just below the Highland Park Bridge. This is the University’s largest-ever commitment to renewable power. The hydropower facility, which is expected to begin commercial operation in 2022, will generate enough electricity to supply 25 percent of the Pittsburgh campus’ electricity needs. Oscar E. Swan, professor in the department of Slavic Languages and Literatures and advisor for the Polish minor, translated the memoir of a Warsaw ghetto survivor that has topped the list of New Releases in Jewish Biographies on Amazon. Swan met Leokadia Schmidt in 1972 and translated her diary from Polish to English. Schmidt’s journal recounts her traumatic experiences evading the Nazis with her husband and 5-month-old son, and eventually hiding in a tinsmith’s shed in the “Aryan side” of Warsaw. It wasn’t until recent years that Schmidt’s son contacted Swan about publishing his translation. Swan’s English translation of “Rescued from the Ashes: the Diary of Leokadia Schmidt, Survivor of the Warsaw Ghetto” comes on the 74th anniversary of the liberation of the Auschwitz-Birkenau concentration camp. The Schools of Education and Social Work, in partnership with the Homewood Children’s Village and Pitt’s Community Engagement Center in Homewood, have been collectively selected as finalists for the William T. Grant Foundation’s Institutional Challenge Grant. This proposed research project will “empirically demonstrate the impact of simultaneous parent and child interventions to improve key student educational outcomes — grades, school attendance, and behavior.” The Pitt-Homewood Children’s Village project is one of four research-practice partnerships selected as a national finalist. The winning partnership will be announced at the end of March 2019. “This opportunity is consistent with our university’s focus on engaging in impactful work with communities, building and sustaining educational partnerships, and contributing to community engaged work and research-practice partnerships,” said Valerie Kinloch, Renée and Richard Goldman Dean of the School of Education and the project’s principal investigator. Co-principal investigators are John Wallace, David E. Epperson Chair and Professor in the School of Social Work, Katz School of Business, and Department of Sociology; and Walter Lewis, President and CEO of Homewood Children’s Village. A new feature-length documentary is in production that will highlight the CR/10 Project — an ongoing University Library System (ULS) initiative that records, preserves,and publishes video interviews with Chinese citizens sharing their memories of China’s Great Proletarian Cultural Revolution. Launched in 2015 by the ULS East Asian Library, CR/10 illuminates a watershed 10-year period in China, where an attempt by Chairman Mao Zedong to protect the Communist Party’s purity resulted in a serious class struggle. From 1966 through 1976, universities and schools were forced to close; teachers and scholars were publicly beaten and tortured. The oral histories in CR/10 present a variety of memories — views not from scholars or politicians, but from the common man. The project began with around 30 oral histories and now hosts more than 100. With funding from the Henry Luce Foundation, the 90-minute documentary, “Unreconciled Memories: Reflections on China’s Cultural Revolution,” will help put the CR/10 project in context. In addition to online accessibility, hundreds of DVDs will be produced and distributed in 2020, mainly for use in high school and college classrooms and conferences. 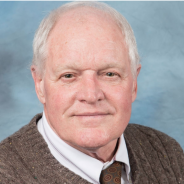 The project’s academic director is Edward Gunn, professor emeritus of Modern Chinese Literature at Cornell University. 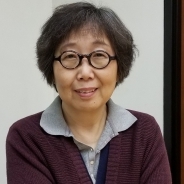 He is supported by Haihui Zhang (pictured), executive director and head of the ULS East Asian Library, and Kun Qian, professor of modern Chinese literature and film at Pitt. 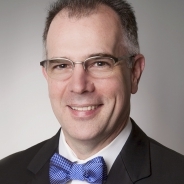 Bernard J. Costello, dean of the University of Pittsburgh School of Dental Medicine, has begun his year as president of the American Cleft Palate-Craniofacial Association (ACPA). Jennifer Russell, associate professor in the School of Education and research scientist in the Learning and Research Development Center, was awarded a $1.4 million grant from the Bill and Melinda Gates Foundation for her project titled, "Conceptualizing and Measuring Network Health in the Networks for School Improvement (NSI) Initiative." At LRDC, Russell leads the Partners for Network Improvement (PNI) team that specializes in the developmental evaluation of improvement networks. Other Pitt group members include scientist Jennifer Post Iriti, research associate Jennifer Sherer, and research assistant Chris Matthis. 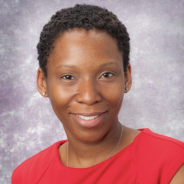 Naudia Jonassaint, assistant professor of medicine at Pitt’s School of Medicine, has been appointed as the Department of Medicine’s first vice chair for diversity and inclusion. Jonassaint, who also is the medical director of clinical hepatology at UPMC Presbyterian, will work to develop new initiatives and programs to enhance diversity and inclusion across the department. Jonassaint joined Pitt’s Division of Gastroenterology, Hepatology and Nutrition in 2014. She earned a bachelor’s degree in biology and in Hispanic and Italian studies with honors from Johns Hopkins University in 1999. She received her MD from Yale School of Medicine, and then returned to Johns Hopkins where she completed her internal medicine training, chief residency, and gastroenterology and transplant hepatology fellowships. While there, she also received a Master of Health Sciences degree from the Johns Hopkins Bloomberg School of Public Health. Read more about Jonassaint online at the Department of Medicine’s website. 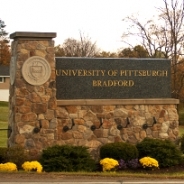 The University of Pittsburgh at Bradford has for the 10th year been named a Military Friendly School for its dedication to the success of veterans and their spouses. 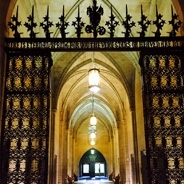 Among the resources that Pitt–Bradford makes available to these students are academic coaching and tutoring, an academic advising center and career and counseling services. 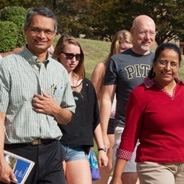 “The Military Friendly school designation is a reflection of the hard work and dedication made by so many different offices and people at Pitt–Bradford who actively help returning veterans and their dependents to be successful in their pursuit of higher education,” said James Baldwin, vice president of enrollment management at Pitt–Bradford. Designated a recipient in the small public school category, Pitt–Bradford was one of just 766 schools to earn the designation among the nearly 9,000 schools evaluated nationwide. Institutions are evaluated based on survey scores with the assessment of the institution’s ability to meet thresholds for retention, graduation, job placement, loan repayment, degree advancement or transfer and loan default rates for all students and, specifically, for student veterans. Operated by veteran-owned Viqtory Media, the Military Friendly designation aims measure and assess an organization’s commitment, effort and success in creating sustainable and meaningful benefit for the military community. A $1.035 million Appalachian Regional Commission (ARC) grant will assist individuals displaced by the declining market for Appalachian coal by providing job-search and business startup assistance through Western Pennsylvania Small Business Services for Coal-Impacted Communities (SBS) programs. “Launch My Business” for startups and those thinking of starting a business due to displacement. “Planning for Profits” where business owners use the Business Model Canvas tool to analyze direct feedback from existing and potential clients for sales growth and revenue. “Decision Makers” in which business owners resolve issues in a confidential group setting. It also will draw upon the expertise of PantherlabWorks, a resource for innovative companies seeking to bring new technologies, services and products into the marketplace. 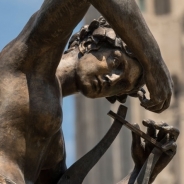 The SBS is a joint initiative of Pitt’s IEE, Innovation Works/Ben Franklin Technology Partners of Southwestern Pennsylvania and Ben Franklin Technology Partners of Central and Northern Pennsylvania. Working together, these organizations provide coworking spaces, accelerators and incubators to serve business owners, independent contractors and entrepreneurs in communities where there are limited resources. 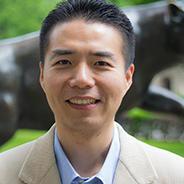 Ming-Te Wang, who serves as associate professor in both the School of Education and the Department of Psychology, and as a research scientist in the Learning Research and Development Center, received the 2019 American Psychological Association (APA) Distinguished Scientific Award for Early Career Contributions to Psychology. The award recognizes psychologists who are at early stages of their research careers. It is one of the most prestigious and influential awards for early career scholars’ scientific achievement. 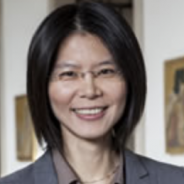 Wang’s research focuses on child and adolescent development. He will be honored at the APA’s annual convention in August. 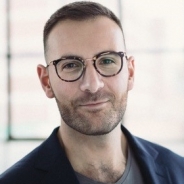 Dio Kavalieratos, assistant professor of medicine, palliative care and medical ethics at the University of Pittsburgh, and director of implementation research for the UPMC Palliative and Supportive Institute has been awarded the 2019 American Academy of Hospice and Palliative Medicine Early Career Investigator Award. Kavalieratos, who is the first PhD to ever win this award, is a health services researcher who is passionate about studying and developing best practices regarding palliative care implementation within health systems. “My overarching goal for my work is to create systems, based on scientific evidence, that make palliative care an assumed part of everyone’s health care,” Kavalieratos said. Associate Professor Yu-Ru Lin recently received a funding from Adobe Research to support her work in data science and computational social science. The funding will provide the resources to help Lin and her team to investigate research topics including visualization for interpretable artificial intelligence and machine learning techniques for understanding human social behavioral patterns and outcomes. This gift will also help build and strengthen the collaboration between Adobe Research and School of Computing and Information at Pitt. 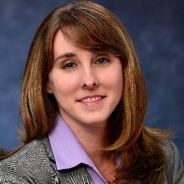 Susan Fullerton, assistant professor of chemical and petroleum engineering at the University of Pittsburgh’s Swanson School of Engineering, was recently received the $540,000 CAREER Award for her research in super-thin “2D” materials. The award, which comes from the National Science Foundation, supports early-career faculty who have the potential to serve as academic role models in research and education and to lead advances in the mission of their department or organization. Fullerton and her group invented a new type of ion-containing material, or electrolyte, which is only a single molecule thick. This will ultimately introduce new functions that can be used by the electronic materials community to explore the fundamental properties of new semiconductor materials and to develop electronics with completely new device characteristics.